I've just spent the better part of thirty hours 10 kilometers above sea level in a pressurized tin can, traveling at 70% the speed of sound, halfway around the globe, in a giant mechanical bird. Now, jet lagged and fancy free, I'm happily ensconced in the heart of The Himalayas visiting a best pal in his Thimphu, Bhutan villa. 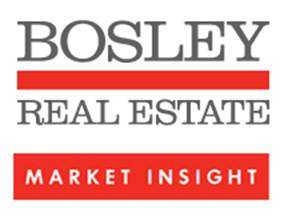 While the urbaneer team serve our clients during my physical absence (tho I am very much available by email as required), our fantastic broker Bosley Real Estate Ltd., summarized this week's market succinctly with aplomb. So allow me to share with you their machinations of Toronto central housing market. Enjoy! Fact. More condo dwellers enjoy the Ex's Cronut Burger than freehold home owners. How do we know this? Simple. Despite being in the dog days of summer, freehold listings are up by 4% over last week's figures and sales are up over 6%. It's a much different story in the condo sector. Listings and sales are both down (by 21% and 26% respectively) forcing us to deduce that they must be all be taking in the attractions and food pavilions at the Ex. With two distinct, yet separate real estate markets happening at the same time, market watcher's heads are spinning faster than The Flying Saucer. While we are well off the number of new freehold listings we have experienced in the past, our research indicates that there are plenty of buyers waiting for the right opportunity. By our estimates we believe there are currently 6 to 7 buyers for each new listing which indicates the making of an active fall market. It is interesting to point out that multiple offers have dropped off considerably this week, reaching the lowest level in months. The most active area is still the East core of the city where over half of the homes are selling in bidding wars (primarily in the entry level home) while in the Central core, the activity tends to focus on the mid level home, those selling between $700k and $1.5m. The condominium market continues to be the story of the year. This segment remains on "auto correct". Builders are anxiously waiting for existing supply to diminish but with 26% fewer sales across the downtown core, they may be in for a longer wait. Still, 20% of condos sold are trading at or over the list price so not all is lost. While the strength lies in the entry level segment, there is a hint that the move up market is showing some momentum. The high end condo market, those listed for $3m or more, remains flat. For the 4th week in a row, the condo rental market remains tight. We are seeing more examples of wild bidding wars and desperate tenants. Prospective tenants have to come prepared if they plan on securing a place to live. Our advice; before you start your search make sure you have references, a credit check, employment letter, guarantor if needed and, of course, a certified cheque or bank draft in hand. Happy hunting. Bosley is a full service boutique brokerage operating in Toronto and Niagara on the Lake since 1928. We have 4 centrally located offices and over 220 sales representatives selling and renting homes and condominiums in all the vibrant communities across the city. I'm proud to be one of Bosley Real Estate's consistent Top Ten Producers. Even from afar, I'm here to offer you guidance, advice and support. Just like my team! Dear Urbaneer - Should I Buy Real Estate?